TUCSON, AZ - Arizona Track opened up the 2019 outdoor season this weekend at the annual Willie Williams Classic at Roy P. Drachman Stadium. The men’s throwers took the top spot in the hammer and discus throw events. Grayson Fleming won the hammer throw with a mark of 64.71 (212-3). Jordan Geist took first in the discus with a toss of 55.05m (160-7). Justice Summerset won the high jump event clearing 2.17m (7-1.5). Tiana Poirier-Shelton finished first in the long jump with a leap of 5.96m (19-6.75) to set a new PR. She also took the top spot in the triple jump. Katie Daily finished first in the pole vault with a lifetime-best clearance of 3.80m (12-5.5). Neysia Howard opened up her outdoor debut with a win in the 200-meter dash. The freshman ran a time of 24.20. Umajesty Williams clocked a time of 20.94 to win the 200-meter men’s contest. Zakee Washington setting a Top-10 Arizona 400-meter dash mark. The junior clocked a time of 46.38 in the 400-meter dash to win the event. The ladies 4x400-meter relay team of Neysia Howard, Tatum Waggoner, Shannon Meisberger and Karolina Pahlitzsch opened the outdoor campaign with a time of 3:39.14 to finish first overall. Up next, the Cats will travel to San Diego, Calif. to compete in the Aztec Invitational beginning on Friday, March 22nd. Pima's Jaylen Coleman eyes the runway before an attempt Saturday in the triple jump at the Willie Williams Classic. The Pima Community College men’s and women’s track & field teams competed at the event as well. Freshman Jaylen Coleman took first place in the men’s triple jump finishing with a new personal record of 48-feet, 11-inches earning a national qualifying mark. In women’s competition, sophomore Hailey Myles (Boulder Creek HS) produced a strong start in the triple jump as she took second place with a mark of 38-feet, 6-inches giving her an outdoor national qualifier. The Aztecs will compete at the Puma Outdoor Distance and Multi-Meet on Thursday in Phoenix. Sahuaro's Trayvion White-Austin set the pace for Arizona prepsters in the 100-meter dash at 10.63. 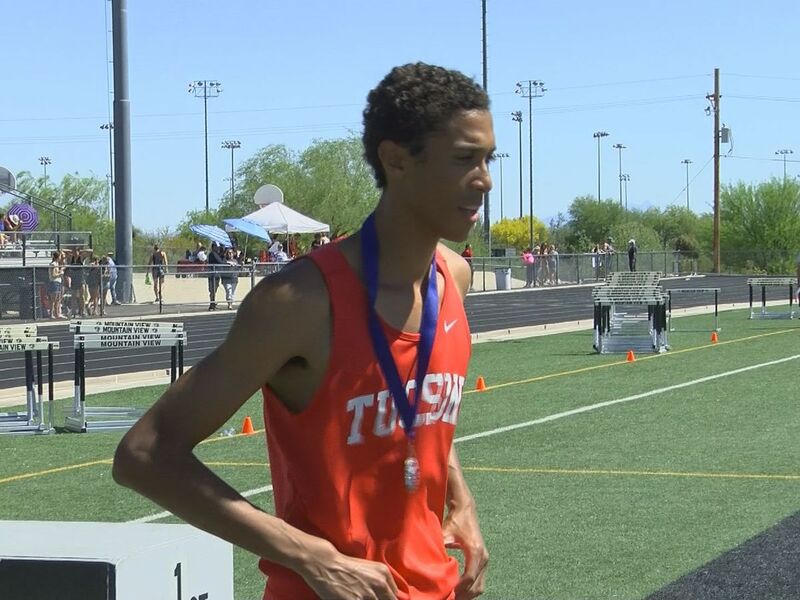 On the high school side, Sahuaro speedster Trayvion White-Austin started his senior year with a personal and state-best 10.63 in the 100-meter dash. Rincon-University’s Thomas Leitner’s 1:55.67 in the 800-meter is currently #1 in the state. For the girls, Tucson’s Jenica Bosko won the 200-meter dash with a time of 24.64, third-best currently in the state. The Badgers 4x400-meter relay team of Andrea Sampson, Abigail Walls, Bosko and Alyssa Blockburger also ran away from the field, posting a mark of 4:01.50. 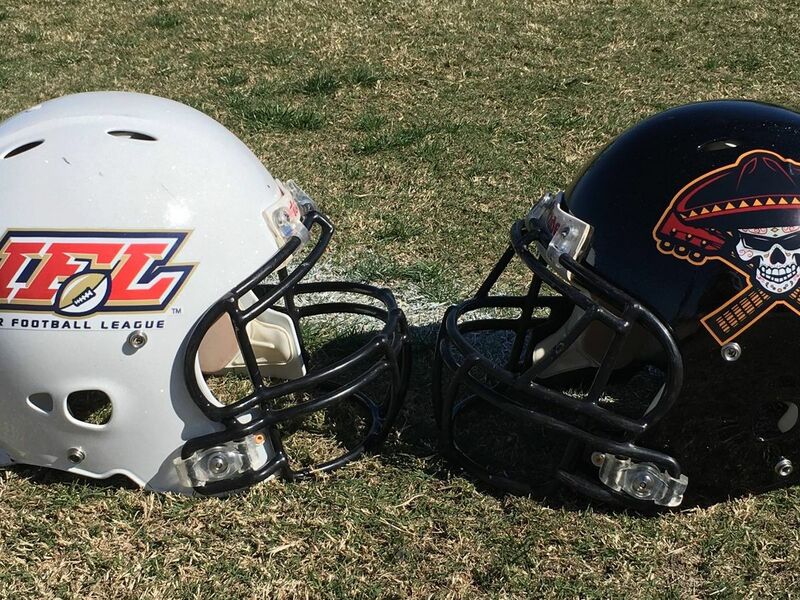 Copyright 2019 Arizona and Pima Athletics. All rights reserved.